The Candy Mix Tin "Stockholm i Mitt Hjärta - En blandning av sött och salt" is marketed by Dream of Sweden in consultation with Lasse Berghagen, a renowned Swedish singer and songwriter. Contains a mix of hard candies flavored with Orange, Strawberry/Liquorice, Peppermint and Liquorice. Premium Swedish Toffees made in Småland, Sweden by a traditional recipe. Inside of each box you will find two kinds of toffees. Toffees sold in premium tins containing 500g toffees. Our Peppermint Toffee is the perfect blend of two favorite flavors, peppermint and cream. Our Raspberry Toffee has a creamy taste combined with the fresh flavor of raspberry. Our Chocolate Toffee is of high quality with a deep, creamy chocolate flavor. 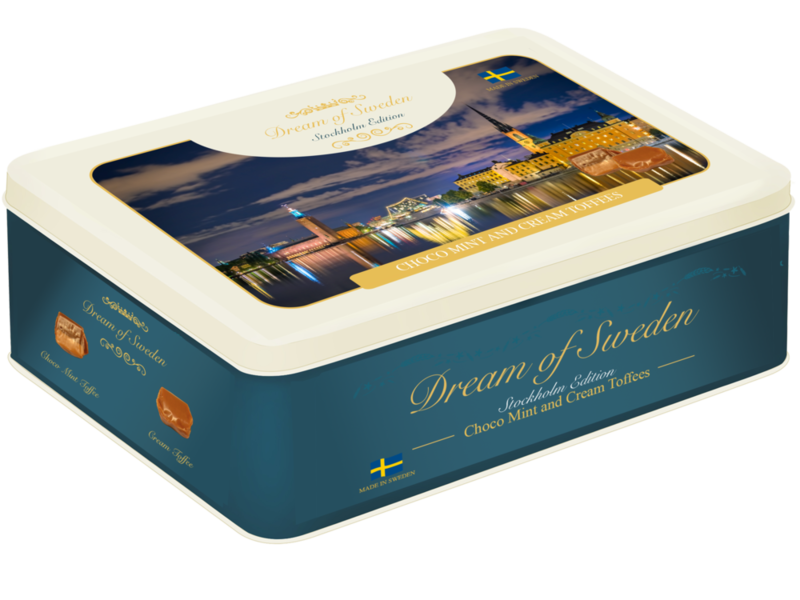 Our traditional Cream Toffee with the original creamy flavor, made from a traditional Swedish recipe. Premium Swedish Toffees made in Småland, Sweden by a traditional recipe. Inside of the box you will find two kinds of toffees. Our Choco Mint Toffee perfectly balances the sweet milky chocolate with mintyness from peppermint oil. 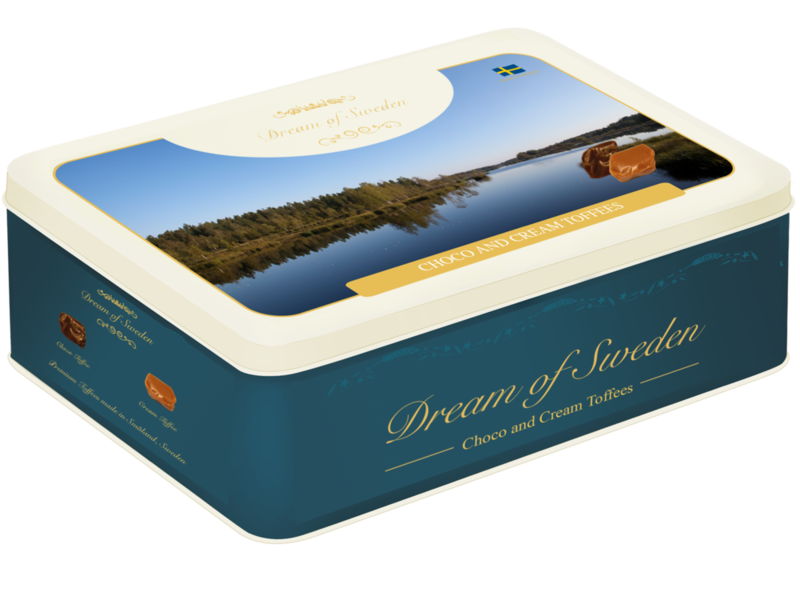 Our traditional Cream Toffee with the original creamy flavor, made from a traditional Swedish recipe.